BSNL Mobile on promotional basis extended offer on Voice Calling STVs further period of 90 days under Prepaid plans mobile services. 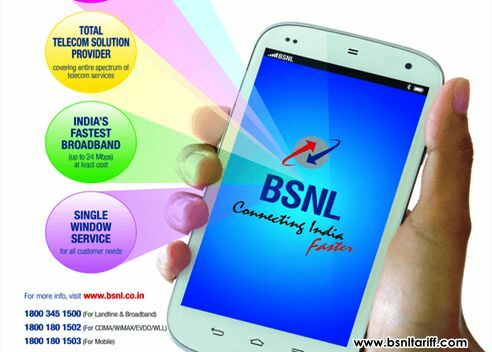 State runs Telecom Company Bharat Sanchar Nigam Limited (BSNL) has announced extension offer on Voice STV of Rs.145 and Rs.425 as Promotional offer basis for 90 days from 6th February, 2016 in Karnataka Telecom Circle under Prepaid plans mobile services. Voice STV of Rs.145 features, Free 20,000 Local/STD voice call seconds to any network comes with validity for 24 days. Voice STV of Rs.425 features, Free 60,000 Local/STD voice call seconds to any network comes with validity for 72 days. The above Voice call STVs will be implemented with effect from 06th February, 2016 and available upto 05th May, 2016 as promotional basis for a period of 90 days across Karnataka Telecom Circle.